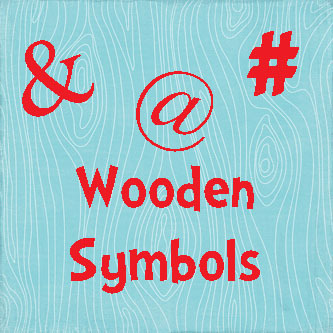 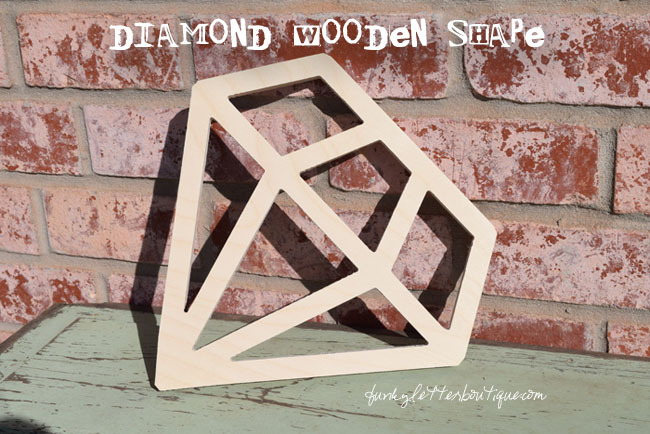 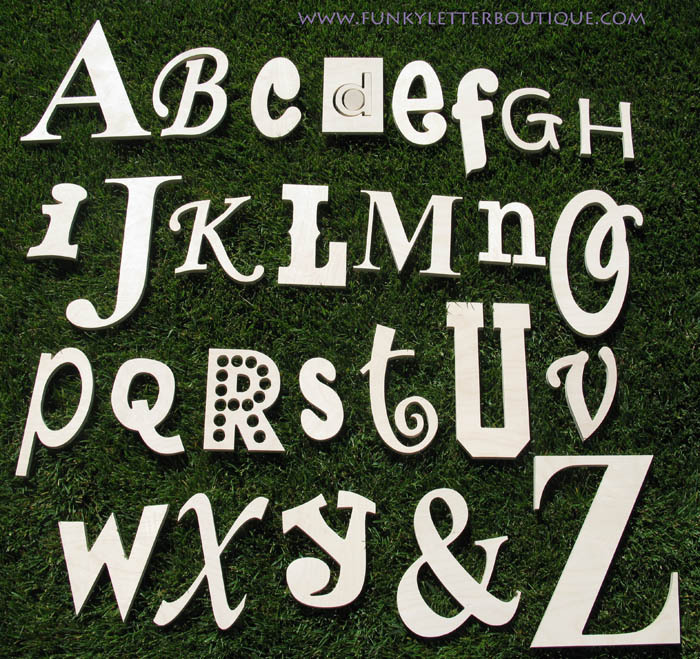 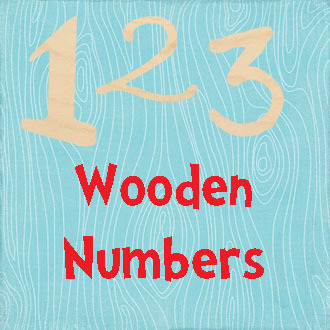 Great for the DIY crafter, these letters, numbers or symbols come unfinished ready to paint bare wood. 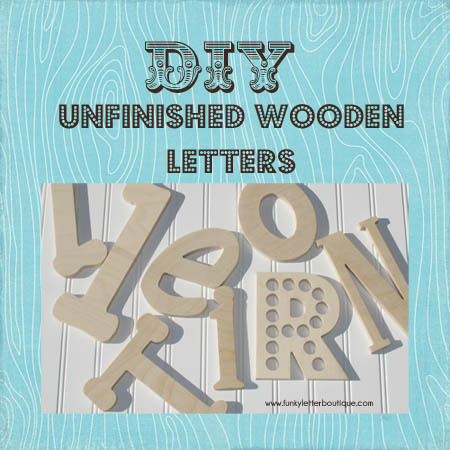 Wooden Letters are great for alphabet walls, wreaths, wooden letters for children's crafts, Young women's group activities, large church groups and more! 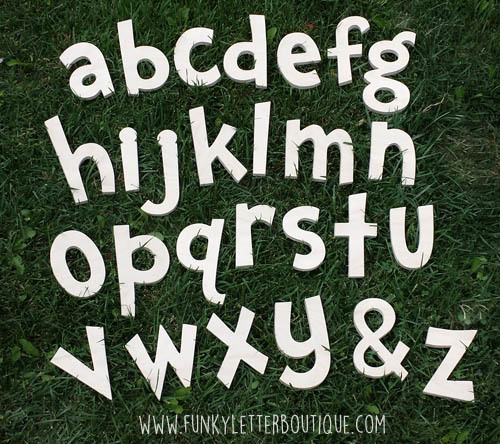 Our unpainted wooden letters are cut from sturdy Baltic Birch Plywood and come in a variety of shapes and sizes. 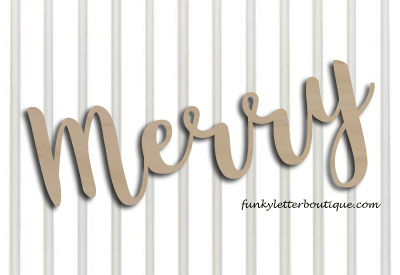 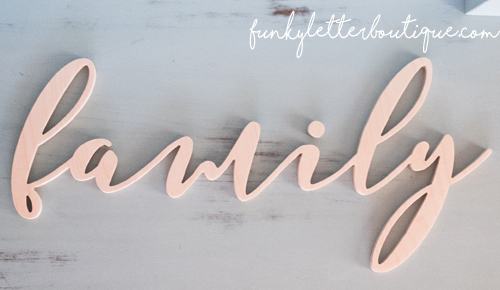 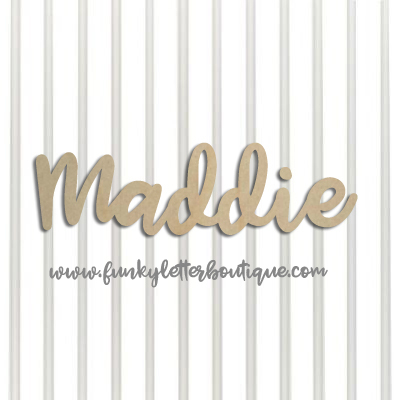 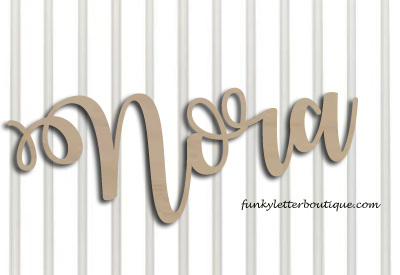 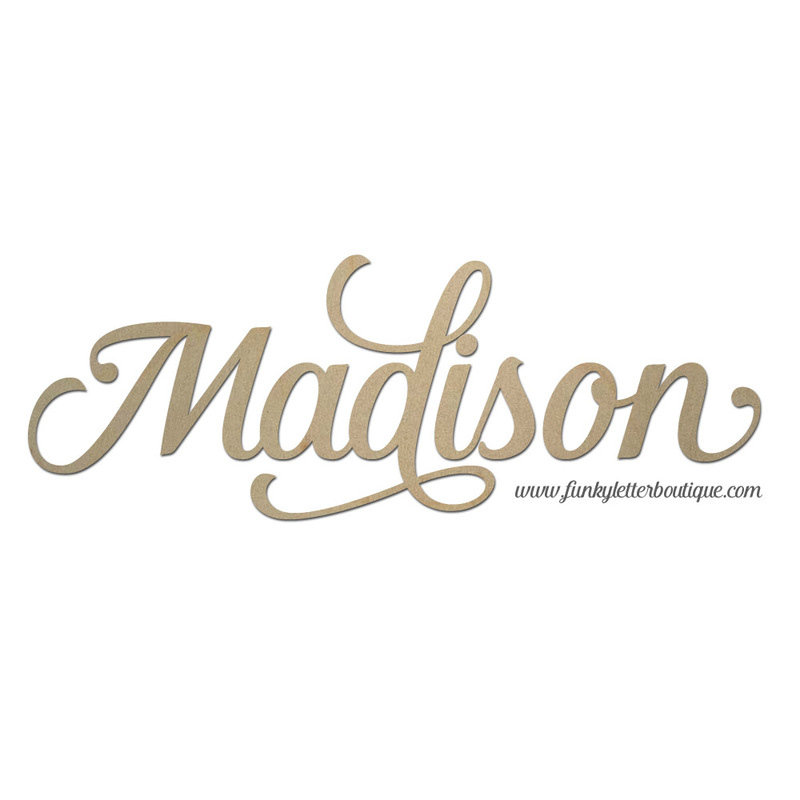 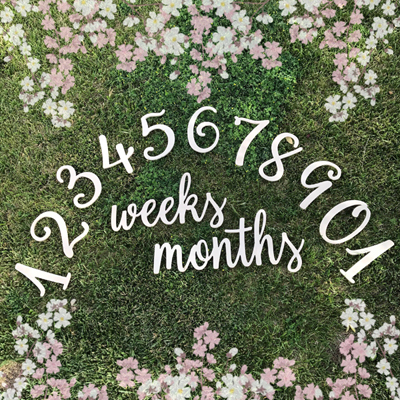 Funky Letter Boutique's font list is especially vast, catering to every taste, be sure to check out our handy font preview tool so you can see your name or phrase in any of the fonts we offer. 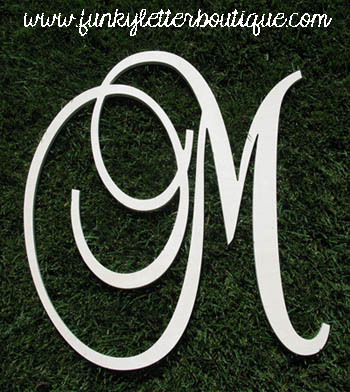 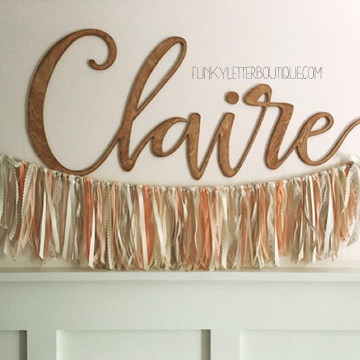 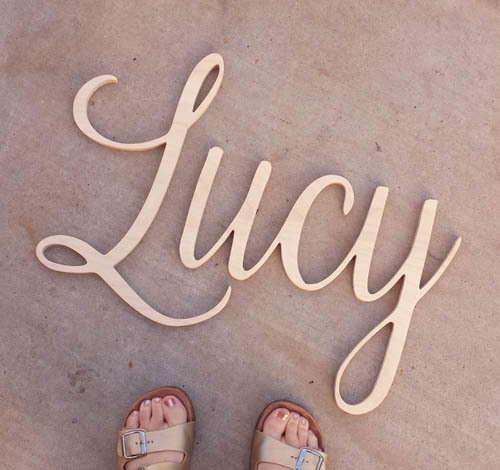 Custom cut unfinished letters are the perfect way to personalize any space in your home!